Lake St. Louis, MO – March 29, 2014 – Caitie Hope and Total Touch, who train with Diane Carney/Telluride Farm, clinched their first Grand Prix victory Saturday night in the $30,000 Lake St. Louis Grand Prix Finale at the National Equestrian Center in Lake St. Louis, MO. Hope, 22-years-old, of Barrington Hills, IL, was one of only three clean riders to head to the jump off out of a field of 17 riders. The Grand Prix was the last in the series of the Lake St. Louis Winter Festival produced by John McQueen and Queenie Productions. Caitie Hope and Total Touch top the field for their first Grand Prix win. Andrew Ryback Photography. "I am thrilled for the pair!" added Carney. "Caitie's been very consistent since she moved into the Prixs. She's been second so many times, I knew with her competitive nature she'd find a way to succeed. It was a great course, very difficult, but Caitie rode well and the horse jumped great." Hope and the Dutch Warmblood Total Touch, owned by Kathleen Hope, have been partners for five years competing in the Junior and Amateur jumper divisions at competitions such as the Pennsylvania National Horse Show, Spruce Meadows, Devon and the Grand Prixs in Chicago and the Colorado Horse Park. Hope usually flies in and meets Carney at the shows. Carney does the homework on the horses, which usually includes Richard Rinehart, so they are ready when Hope arrives. Last week Hope was on spring break and was able to ride a few days before coming to the show. Otherwise, Hope does not ride much at school and keeps her horses at Carney’s business, Telluride Farm, in Hampshire, IL, where they stay in show shape. Hope shared how the program works. Carney arranged for Richard Rinehart of Westfield, IN, to ride Hope’s two horses in the Welcome Stake earlier in the week. Rinehart was second on Hope’s Total Touch and won the class on Michael Burnette’s Iron. The school was just what the horse needed to win the Prix with Hope; Rinehart finished second with Iron. 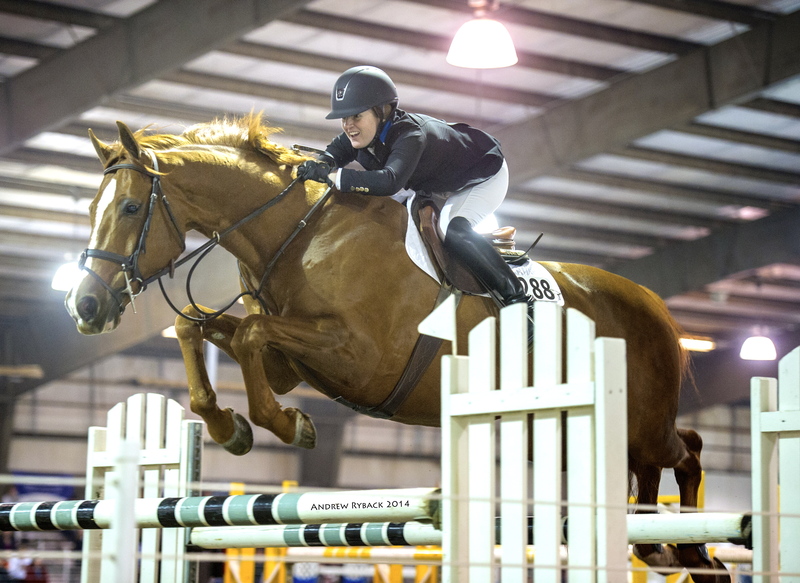 Hope also won a $500 Amateur Owner Jumper class on Friday with Total Touch and was second on her young horse, Vision EH in the Show Jumping Hall of Fame Class. Hope is a junior in college this year, majoring in English at Lafayette College in Easton, PA. She is making room in her busy schedule to show at The Devon Horse Show in May, Spring Spectacular in Elgin, IL in June, the hopefully will be selected for the GHM Gladstone Program Training Session at Canterbury Farm in June and Traders Point, in Indiana in August before returning to school in the fall. 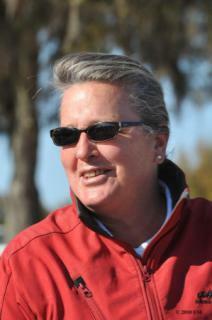 Carney is a USEF R licensed official HU/EQ/JP and a USHJA Certified Trainer. Carney has judged The Hits $500,000 Hunter Prix and the Winter Equestrian Festival in Wellington as well as numerous other Premiere USEF competitions. Carney also gives clinics for hunters and jumpers throughout the country including California, Arizona, Ohio and Chicago and is Chairperson of the USHJA Zone 5 Committee. She has organized the George H. Morris Chicago Clinic for 25 years and will be organizing the GHM Gladstone Program Training Session in June at Canterbury Farm. For more information on Telluride Farm/Diane Carney visit www.telluridefarm.com, email dtelluride@aol.com or phone 847-922-6167.